The biopharmaceutical sector is living a speculation moment. The general feeling among investors is that great advances with the fight against cancer are going to be produced and the existing medication will be improved. Some companies conduct promising studies against cancer. It is speculated that before 10 years we could have a substantial improvement in the partial cure of the most deadly cancers. Meanwhile, other companies are trying to improve the current medication for the orphan indications and critical care market. There are three companies that are making some spectacular progress in their studies. 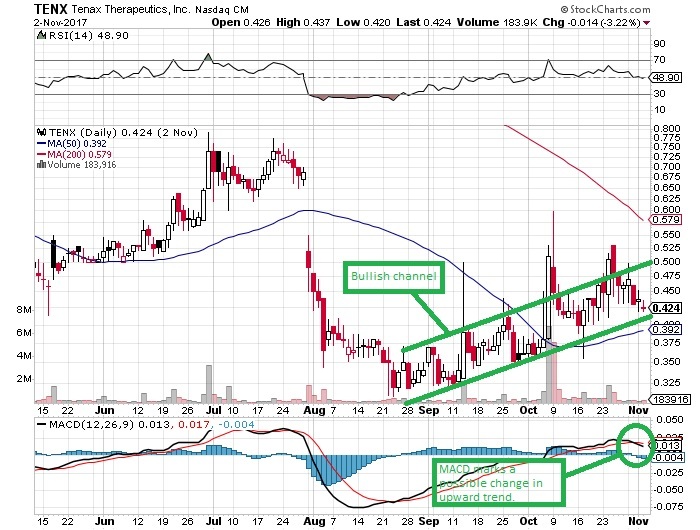 Omeros Corporation (NASDAQ:OMER) and Tenax Therapeutics Inc (TENX). In the next article I will write about the reasons to take a speculative position in these companies. According google finance, Omeros Corporation is a biopharmaceutical company that is engaged in discovering, developing and commercializing small-molecule and protein therapeutics for large-market, as well as orphan indications targeting inflammation, coagulopathies and disorders of the central nervous system. Its marketed drug product, Omidria (phenylephrine and ketorolac injection), is used during cataract surgery or intraocular lens (IOL) replacement. Omidria is derived from its PharmacoSurgery platform, which is designed for patients undergoing ophthalmological, arthroscopic, urological and other surgical procedures. Its PharmacoSurgery platform is based on low-dose combinations of the United States Food and Drug Administration (FDA) approved therapeutic agents delivered directly to the surgical site throughout the duration of the procedure to inhibit preemptively inflammation and other problems caused by surgical trauma, and to provide clinical assistances both during and after surgery. (Source: Google finance). - Phase 3 program for OMS721 in patients with IgA nephropathy. 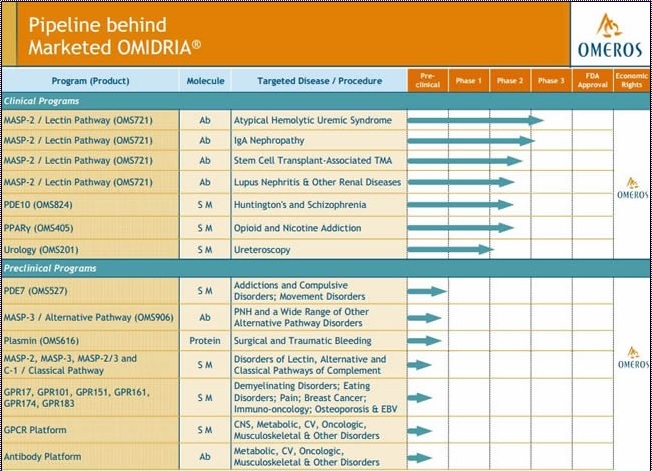 - Revenues about OMIDRIA® in last quarter financials. 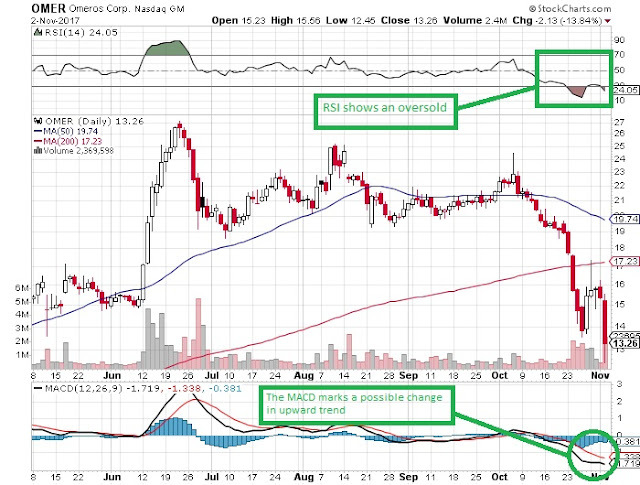 - Rsi marks an oversold. The MACD marks a possible change in upward trend. According google finance, Tenax Therapeutics is a specialty pharmaceutical company. The Company is focused on identifying, developing and commercializing products for the critical care market. The Company's main product is levosimendan. Levosimendan is a calcium sensitizer developed for intravenous use in hospitalized patients with acutely decompensated heart failure. Levosimendan represents therapeutic modalities for the treatment of Low Cardiac Output Syndrome (LCOS), septic shock and other critical care conditions. The therapeutic effects of levosimendan are mediated through increased cardiac contractility by calcium sensitization of troponin C, resulting in a positive inotropic effect, which is not associated with substantial increases in oxygen demand; opening of potassium channels in the vasculature smooth muscle, resulting in a vasodilatory effect on all vascular beds, and opening of mitochondrial potassium channels in cardiomyocytes, resulting in a cardioprotective effect. (Source: Google finance). - LEVO-CTS confirmatory trial in cardiac surger. - NDA news about LEVO-CTS. - Possible partners or collaborations. - The MACD marks a possible change in upward trend. Thanks a lot for the submitted contribution and expressing your opinion! It seems that there are a lot of things to be done ahead.